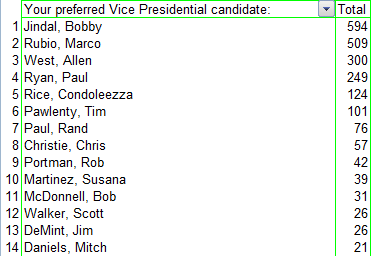 Over at Hot Air (well named, by the way…) there’s a poll asking who you’d like to see Romney nominate as his Veep. (Hat tip to Thirdwavedave for calling my attention to it because I wouldn’t have seen it otherwise. I stopped reading the Republican establishment-leaning Hot Air a long time ago). The top two “winnahs” are both ineligible per Article 2, Section 1 of the US Constitution. People… are we really THAT uninformed? Or is it just the majority of Hot Air readers? They were here legally, but not citizens. That was good enough for Chester Arthur to hide and destroy all of his documentation (his father was Britihs when he was born). 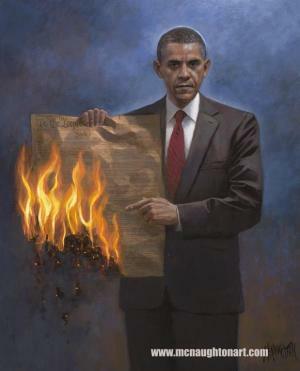 Yes, this does need to be resolved by a court, but at a time when our Constitution lies in tatters and we are faced with the task of not just ejecting an America-hating traitor and his junta from the WHite House but repairing the extensive damage that he has done (and our cowardly GOP has, to a great extent, allowed without so much as a peep) one would think that it would be best to not skate the edge of Constitutionality in this election – certainly not for the VP position. That people feel so strongly (if this poll and subsequent comments are to be believed) that they need one individual (who’s nice and competent and all but not America’s greatest political genius or anything even close) whose Consitutional eligibility is, at best, questionable, shows a serious misunderstanding by people of the shape America is in and what it will take to repair this nation. This attitude does not bode well for America. But, like I said, it’s not just Jindal (who I can accept only by his politics with no problem whatsoever, if that was all there was to the Presidency and VP) but that whole list that looks totally insane. 5. Jan. 4, 2005, Conyers, D-Mich., HJR2, the same as Rohrabacher’s.